I love the story of Samuel the Lamanite in the Book of Mormon. 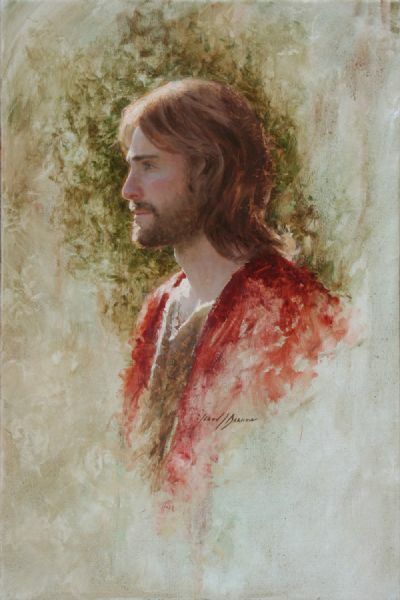 Helaman Chapter 13 is a great chapter to reflect upon. In order to really appreciate the story you have to start all the way back in the Book of Mosiah and see how the Nephites kept going through the cycle of [Prosperity -> Pride -> Destruction -> Humility -> Repentance -> Prosperity] and repeated over and over. You also have to understand some of the differences between the Nephites and the Lamanites. 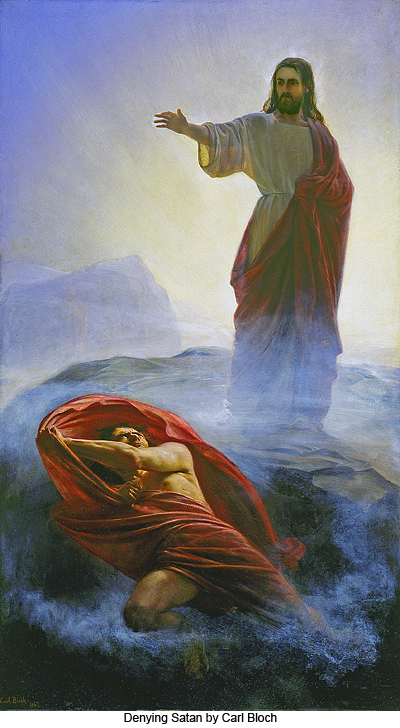 People that are vaguely familiar with the Book of Mormon believe that Nephites and Lamanites are two distinct races of people. The Book of Mormon is quite clear that Lamanites aren’t necessarily actual descendants of Laman and the Nephites aren’t necessarily descendants of Nephi. (And on a side note, Mormons do not believe that Nephi and Lehi were the first settlers in Central America). The two groups of people are separated more by ideology, religion, the lust for power and a lot of misunderstanding than by lineage. It was common for people to change their names depending on who they associated themselves with. For a time, the Lamanites were actually lead by apostate Nephite kings that had a hatred towards their own people. 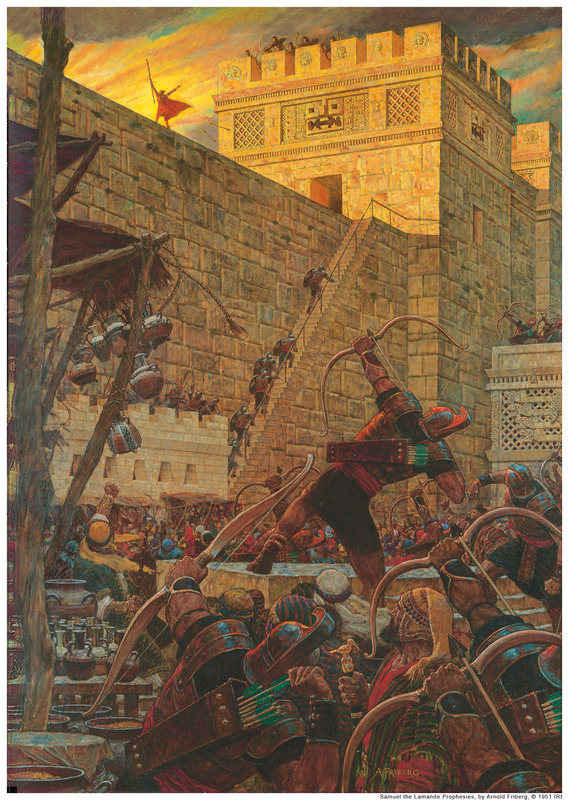 Generally speaking, you could say that the Lamanites were more wicked and the Nephites were more righteous, however the Lord had warned many times that the Nephites had the privilege of knowing the gospel whereas the Lamanites didn’t always have that privilege, therefore the Nephites were held accountable. At the time Samuel the Lamanite arrived to Zarahemla the Lamanites had been converted (Read Helaman 5) and were righteous, but the Nephites had many many dissenters that were the cause of much wickedness, mostly created out of pride, lust, and forgetting how many times the Lord had preserved them and prospered them. I try to keep my posts short, so I will continue with this thought on my subsequent posts. Try to read this chapter and reflect how vitally important it is for us today to remain righteous individuals. I will file this post under the “Artistry” category. This will be an interesting “Ear Challenge” for you. 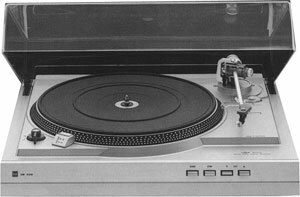 It requires a nice set of speakers, or more ideally – headphones, about 25 minutes of undisturbed time and an open mind. 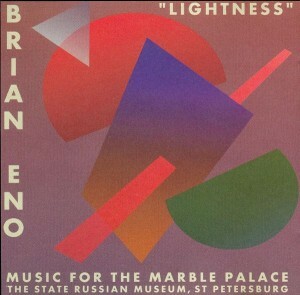 This particular piece “Chamber of Lightness” (The second one on the album) was created by the British musician Brian Eno. It’s pretty soft on the ears, but lacks any melody or beat so it will either make you very comfortable or very uncomfortable. I happen to be a visual person, so it’s not hard for me to sit back and listen to ambient music and actually see with my ears what the artist is trying to portray. I don’t believe this album is in print or for sale anywhere that I can find, including enoshop, so this will really be a rare experience for you. I hope you’ll enjoy. 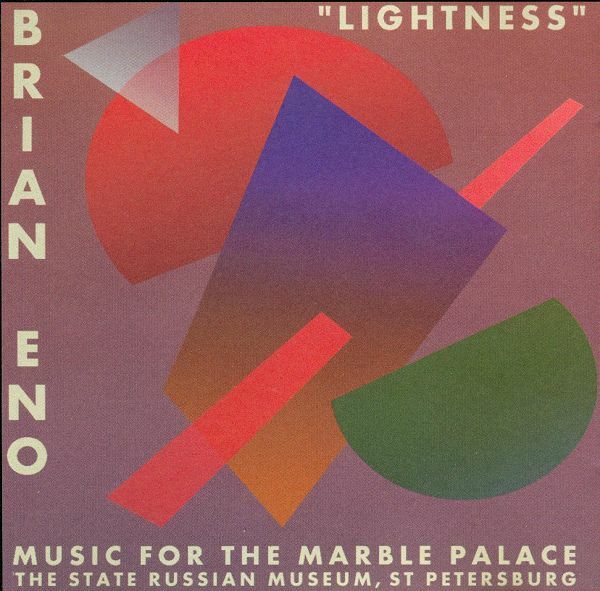 “The music on the album was made for an Installation – a show featuring music and visuals – that took place at the Marble Palace in Saint Petersburg, which accommodates permanent exhibitions of the StateRussian Museum, from November to mid-December 1997. After the release of his 1997 album The Drop, Eno relocated to Saint Petersburg for a short sabbatical and began working on music specifically for installations. The event’s music was generated by three CD players, and like his previous album of the same year, Extracts from Music for White Cube, it used the generative capabilities of Koan Pro by layering more than two stereo pairs of sound sources, via the CD players. The show was hosted in a large, neo-classical, newly-renovated chamber, and Eno was free to design it as he wished. At one end, computer-programmed projectors threw randomized, colourful patterns on a series of screens, while the rest of the room was dark. God’s amazing love, the common denominator of all good faiths, springs forth with great power like a river. It flows in the beginning like glass without ripples and without sound, giving life and beauty to its surroundings, but as it is met with obstacles and adversities downstream (pride, envy, lust, greed, etc) it becomes distorted and divided, creating noise and chaos. God’s love is like the sun, the most dominant and all encompassing power from Heaven giving light and life to all inhabitants indiscriminately. Yet it is so often imitated on a stage giving focus to only the actors and leaving the audience in the dark. Here are my thoughts on the Final Judgement. Suppose there was a music student that was accepted into an undergraduate program. This person had the basic knowledge and skill to play but he knew he had a long way to go before he could get on stage and play a solo recital for the hour and half that was required. This great recital was in four years and if he did well he would be accepted into the Master’s Program. His instructor was not only a highly recognized virtuoso at the grand piano, but a great teacher as well. His critique was always carefully delivered in a way as to not offend his students and he never ran out of patience. Over time, a few students dropped out of the program feeling that they would prefer to enjoy the freedom and indifference of youth more than the drudgery of study and practice. This one student, however, stayed believing that he could graduate with minimal practice and rely on the tender mercies of his instructor. As he got to his last year, having practiced very little and only from time time – he began noticing that the recital was quickly arriving. Other students around him were getting quite good, being able to play Bach, Beethoven,Chopin, etc. He was able to play a few folk songs such as “She’ll be comin’ round the mountain” and “Home on the Range”. As the reality began to set in he went to his instructor and asked for forgiveness and help. Without hesitation his instructor forgave him and gave him his full attention. All that time that he had wasted was really starting to bother him and he was beginning to panic and yet his instructor patiently worked with him all the way up to the recital. The day finally came, he got on stage, played the few songs that he knew. The instructor smiled and the audience applauded, but what was going through the mind of the student when it was over? These are the questions we ought to be thinking about rather than who will be saved and who will not. The Great Plan of Happiness is an eternal path of progression that begins with the regular practice of obedience and righteousness until we become virtuosos. Some days can be difficult and discouraging, but the day will come when God will listen to your recital and will not be concerned about your past mistakes but on what you have become relative to the opportunity you were given. 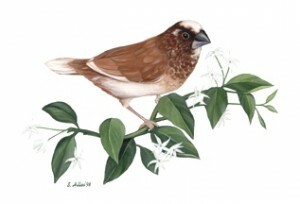 Last year, we bought two little society finches and a bird cage to add a touch of nature to the home. It so happened we ended up getting a male and female. The male quickly built their nest and the female started to lay eggs. Within a matter of a few weeks we now had a family of 5 society finches. It was fun to watch the process. The birds are very social, in fact I could see how the parents taught their young the basic principles of flying, eating and even taking a bath. They would chirp and sing to each other, but unfortunately they were messy. When spring-time came we put the birds outside in the shade where they could scatter seeds and poop to their heart’s content. Eventually we decided that it might be a good time to let the birds be free. The climate was very nice, there’s vegetation everywhere so why keep them confined in a cage. So I opened the cage door with a clip and just let them do whatever they decided. After several minutes I could tell they were getting very curious as they each kept looking out the door. After about a half hour, two of the children flew out and were free. Several hours later the 3rd child flew away and the two parents were left along with a few new eggs in the nest. What I found interesting is the mother bird started to chirp and off in the distance one of the children would chirp back. This went on for a long time, back and forth. Well, perhaps a sappy observation but an observation to ponder nonetheless. Every mother seems to have this instinct within them to care for their children. Even mothers that are only a month or two old themselves such as these little birds. I don’t believe a mother’s nature is simply an “evolved” trait, I believe it’s by design from the beginning by our divine Creator. I am a soon-to-be dad. I feel like a rookie at the whole parenting thing. I’ve read books, taken classes and listened to plenty of advice. The two most commonly mentioned pieces of advice I’ve heard are 1) For the dad, whatever shred of manhood you thought you had – it will all go out the window along with the dirty diapers you’ll being carrying to the trash and the banged up mini-van you’ll be driving. 2) For the Mom, motherly instincts will begin to kick in and she’ll know what to do. Mothers are truly a blessing. With the amount of sacrifice they go through to raise us, I’m sure the thought has crossed their minds once or twice that it would sure be nice to fly away and be free. Yet they just look at us with their little blinking eyes and say “We will not abandon our little ones”. Thanks Mom!! Uh oh, I have a blog now! I’ve been thinking of writing a blog for a while. Instead of simply categorizing my posts as “Random thoughts’ I decided to categorize them as observances that slowly come to light and understanding over time, similar to how the stars begin to appear in the evening as the Sun slowly sets behind the horizon. I don’t know if anyone will read them, but what the heck, I’ll try.